As artists, many of us forget that we are running businesses. We love to spend time creating and often put on hold or aside the tasks related to marketing, sales, advertising, promotions and accounting. If this sounds like you, you might want to check out this free eBook just for artists! 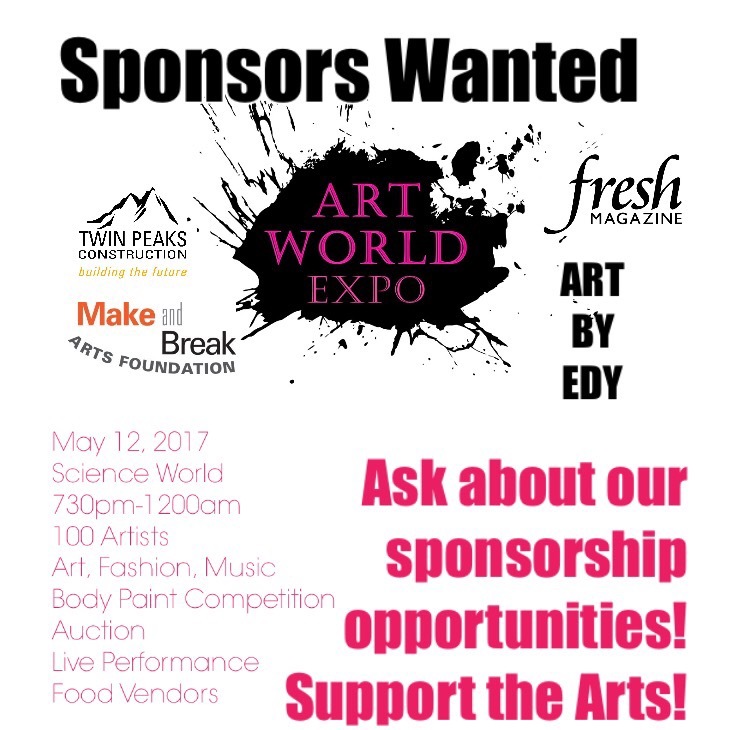 Geared at any artist that is looking to learn how to promote their artwork and meet new buyers, a great way to start or refresh your thinking about the business of your art. 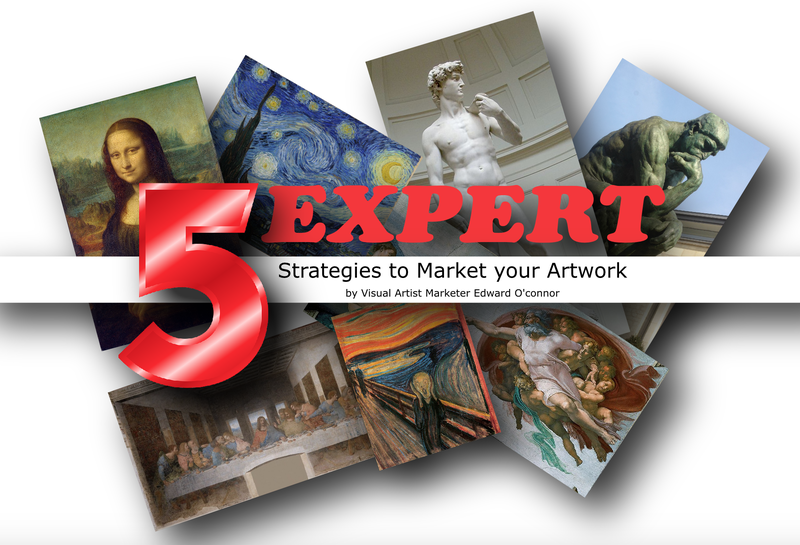 Click this link below to get your FREE copy of 5 EXPERT Marketing Strategies for Visual Artist. About: Self-proclaimed “mom-entrepreneurs” Sabrina Widner lives in Sooke with her children and husband, where she spends most of her time taking care of loved ones and running Coastal Storm Gallery with her twin sister, Sam! 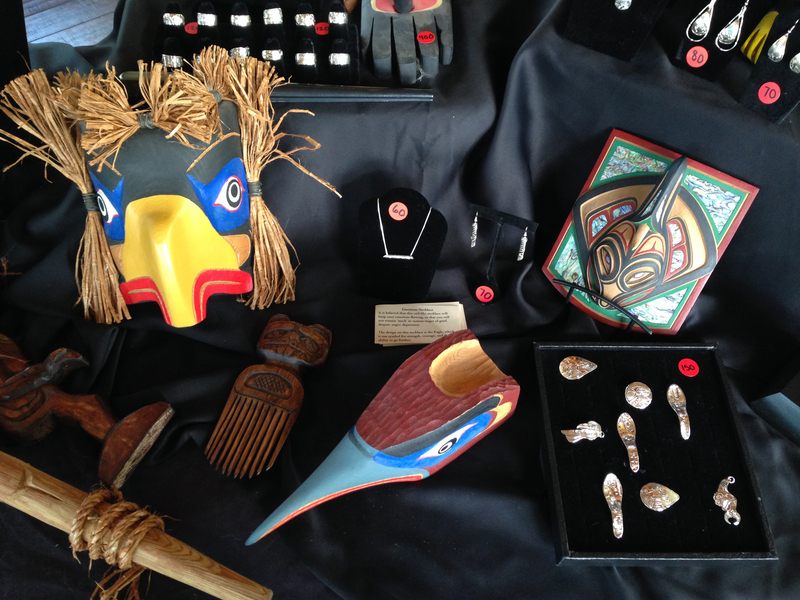 Sabrina and Sam focus on exhibiting local artisans and feature a wide selection of beautiful aboriginal artwork. This year, they designed “Coastal Imagination Masks” which were sold at several of Make and Break Arts Foundation’s fundraisers all over the Lower Mainland and supported arts based projects like Art World Expo and summer art camps for children and youth. How and when did you decide that you wanted to be an entrepreneur? After spending almost eight years working in downtown Victoria, picking kids up from daycare, and feeling tired and under-appreciated at work, it was time for a change! I invested in a few properties (that currently pay my bills) so that I could spend my days walking my dog, volunteering in my local community, and actively participating in raising my own children. However, after a while of being a stay-at-home mom, it becomes a little tedious. So, my journey as a business owner began. Can you tell the story of how you came up with the idea for Coastal Storm Gallery? I have a beautiful aboriginal art collection, and friends and family started to ask me why I wasn’t buying and selling pieces online yet, so I did in 2009! However, not everything went perfectly the first time. My original business partner did not share the same vision as me. We came up with an online aboriginal gallery, and did a few trade shows and mall kiosks, but things fizzled out. Now, my sister and I are running Coastal Storm Gallery together, and things have been awesome ever since! Sam, what lead you to becoming Sabrina’s business partner with the gallery? Since graduating from college in 2001, I have been in various customer service roles which I absolutely love. I’ve managed retail stores, implemented customer service within a private company, and since 2008, I have been working for the local Health Authority. Initially, I was with Mental Health & Substance Use, which is an eye-opening program that allowed me to serve a population that deserves great customer service and complete respect. Currently, I am working within Public Health and now serve an even broader range of people. Considering how young I am, you will be surprised to know that my husband and I have been married for five years now and have been together officially for eighteen years! We were pregnant within days after our wedding; having my Son in 2009 was the greatest experience of my life and every day I love him more and more. With a busy career, a husband, and a son, finding time to spend with my sister was becoming a challenge. When she asked if I’d like to become involved with her business, initially I was hesitant and wondered where I would find the time, but I have to say it has been a great experience! We chat all the time, our children get to spend tons of time together “while their mommies work”, and I love it! Why are you drawn to aboriginal artwork? I think it’s because of the heritage! Even young aboriginal artists begin with a wealth of information and usually have family members that have mentored them since youth. Aboriginals of the first people of Canada. Their history dates back hundreds of years, many tribes have continued to pass information on through the generations, and I find amazing value in that. For every piece, there’s a story. Each animal has a different meaning, they have their own mythical creatures, the artist themselves have stories to share, and every family has a history. For example, I carry Nancy Dawson’s jewellery. She was taught how to carve and weave by her elders and she has passed that skill down by mentoring all of her sister’s children. They all currently hand carve silver jewelry. Her family crest is the wolf, and when her family holds a potluck, they give handmade items all engraved with wolf symbols to signify the family’s wealth. You helped to create and sell “Coastal Imagination Masks” with Make & Break Arts Foundation this year. Can you tell us more about the masks and how you got involved with MAB? One day, while sitting by the poolside at Monika’s house, we started taking about galleries and how much we both love art. I mentioned that I was lucky if the kids would let me have five minutes in a gallery without bribing them with a treat, and how I wished that there was something on-site that would work for the whole family. It would have to be desirable to a child, high-quality, and of course, fitting to be sold in a gallery setting. That’s what inspired me to create a line of children’s masks! I’m not great behind a sewing machine, but my best-friend and twin, Sam, sure is! Together, Sam and I designed a West Coast animal-themed line of felt masks. We both have boys and know for a fact that dress-up items are extremely limited for them; it’s either a profession or a super hero, and none of it is made locally. We set out to fix that! All of our masks are machine-stitched, machine-washable, and extremely durable. We tested our product at a local craft fair and school fundraiser and got some amazing feedback! I know that Monika works hard for her charity and I thought that we could both benefit by working together, so I sent her some product information and she ran with it! We did a custom order for her Halloween fundraiser of skulls and pumpkins, and created Ruldoph masks which she used to fundraise over the Christmas holidays. She has also included our masks in some online promotions as a part of her fairytale theme. Our hope is to continue to compliment her fundraising with seasonal masks. There’s a list of “symbols” on your website. Why have you listed these, and what culture are they from? Where can they been seen in the gallery? I decided to update my website and gear it towards local artisans. The website is still in transition, which is one of the reasons why the symbol page is still there. When the website was only aboriginal, the symbols page was there as reference. What inspired you to start supporting local artisans? Sabrina: During the last few years, I have become very active in my community and met so many amazing, talented people. I believe that businesses work because all members benefit; you’re only as successful as those around you! So, my sister and I have approached artisans we know in hopes of promoting their work. Sam: Sabrina’s new focus on supporting local artists is a great move for her. I currently work with a lovely woman who creates beautiful one-of-a-kind jewelry with her sister under Gin-Nel Jewels. Gina is a mother of eight and needed a creative outlet. Making jewellery was it for her, and working with her sister is the bonus! There’s just something about sisters working together. I went to a craft show to introduce Sabrina to Gina & they hit if off! A few days after that, I asked Gina if she could make earrings out of pennies (which I have always wanted and can finally do now that the penny is no longer used). She agreed and we started to talk about other opportunities. Gina’s products will start to be available on our website soon and we will be showcasing her creations at Art World Expo in Vancouver and Toronto! 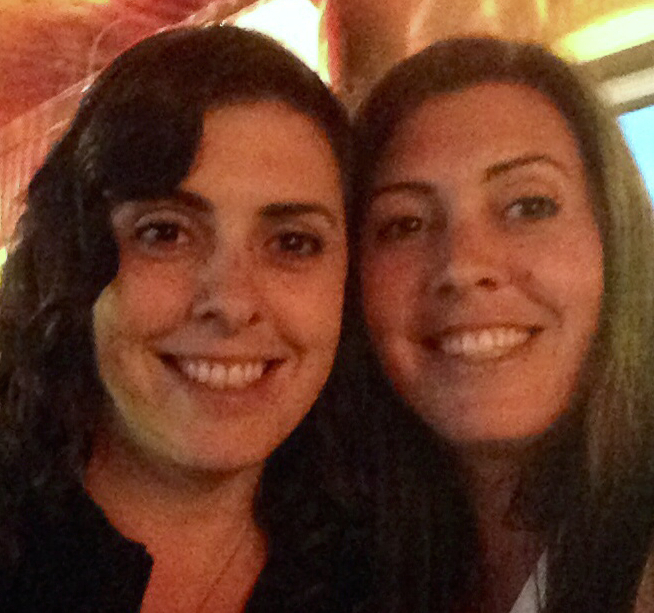 What is it like to run a business with your twin? The best part of it all is being able to work with my sister and best friend. When I have an idea in the middle of the night, a problem during the day, or too busy of a schedule to get everything done alone, I just call her! We can count on each other to support whatever the other person needs. For us, equal work means equal partnership. I love her, she loves me, and now we can spend time together doing what we both love! Sabrina, you’re a self-proclaimed “mom-entrepeneur”. Why have you given yourself this title? Part of why I describe myself as a “mom-entrepreneur” is that I’m doing something I truly enjoy while being able to sustain all of my family obligations first! 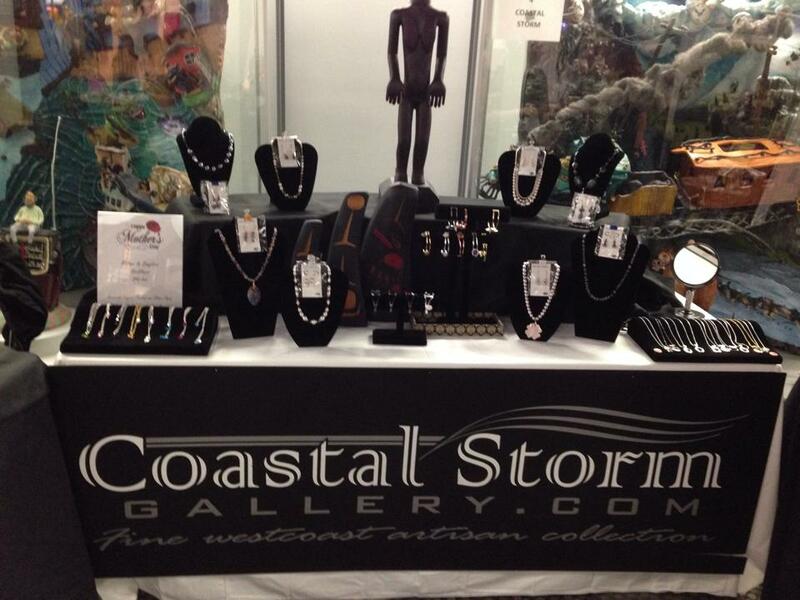 Hopefully, you stopped by the Coastal Storm Gallery booth at Art World Expo this year! Sabrina and Sam will also be at Art World Expo Toronto in October!